Talking about money is always difficult, especially during a time when everyone could use a little extra. And usually, the more money that is being talked about, the higher the stress levels. 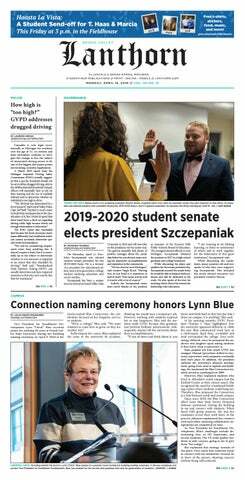 Recently, the Grand Valley State University student senate released and approved its budget for the 2017-18 financial year. As with all budgets, there were some cuts, and there were some increases. Though we realize it is impossible to make everyone happy, one thing that can be said about the budget formation process is that none of the decisions were made (or taken) lightly. Throughout the school year, student senate (specifically the finance committee) looks at the monetary needs of students on the GVSU campus. Based on the money allocated to and used by each group the previous year, the committee then decides how much money the group will need the following year. They also take a look at previous years of how much the group used out of how much were they allocated. Have they had steady increases in past years? Do they never use all of their money? Have they not had an increase in the past four years? Have they requested a lot of money? These are the questions the finance committee considers when looking at the budget. Many of the campus groups that were awarded lower funds had simply not used the amount budgeted to them in the past. Even though it's nice to have some extra padding in the bank, student senate also has to have a wider view of the budget process as a whole. Maybe an organization could save the money for next year, but the money could also be used to help a group in need or fund a new organization. The numbers the finance committee comes up with on a whim, they do in-depth research into what groups would benefit the most from increased funding. Although some groups see a significant cut, it has been shown that they don't use a majority of the money they are given. Therefore, it makes sense for it to be allocated to a different group that would use it all. In addition to the finance committee putting time and dedication into the budget, the other student senators had this proposed budget for three weeks before voting on it. They did their due diligence by asking questions, concerns and general comments about the allocations. We want to commend them for their work in making the budget for the student body the best it can be. Though it's easy to get caught up in the numbers, it's important to remember that just because some groups don't get as much money as others doesn't mean they're any less important to our campus. The fact of the matter is that some groups need more than others depending on the year and student interest. After listening to the rationale of the finance committee about its decisions, it's apparent that extensive research has been done with student values at the heart of all the decisions.